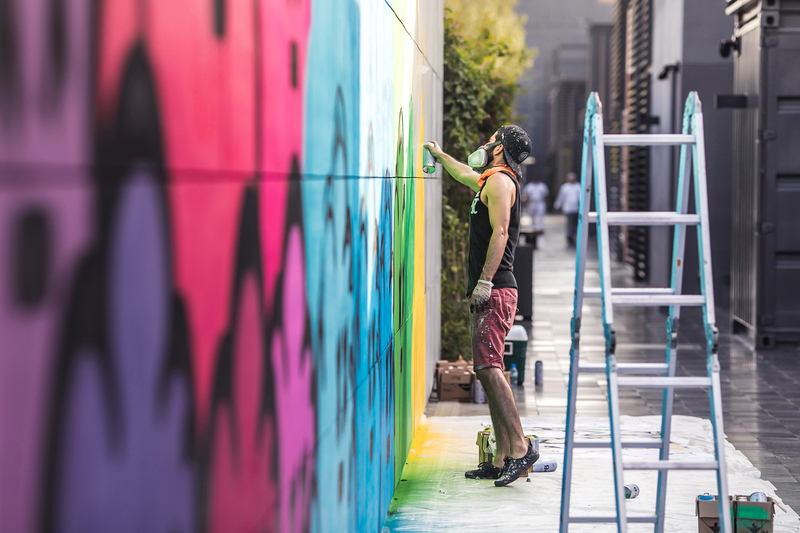 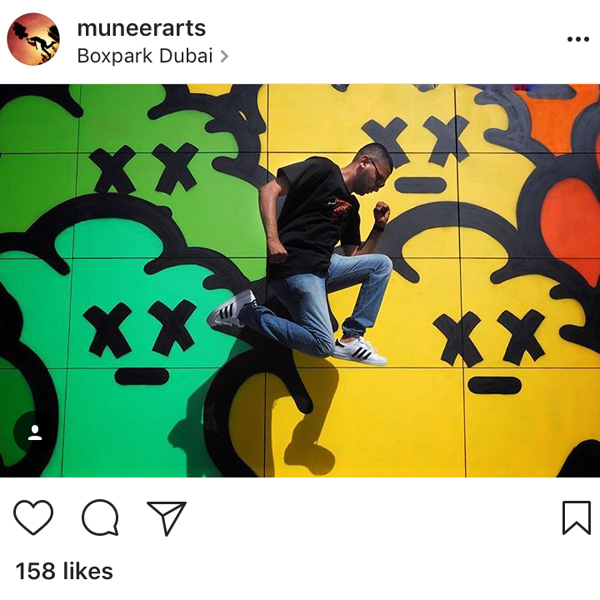 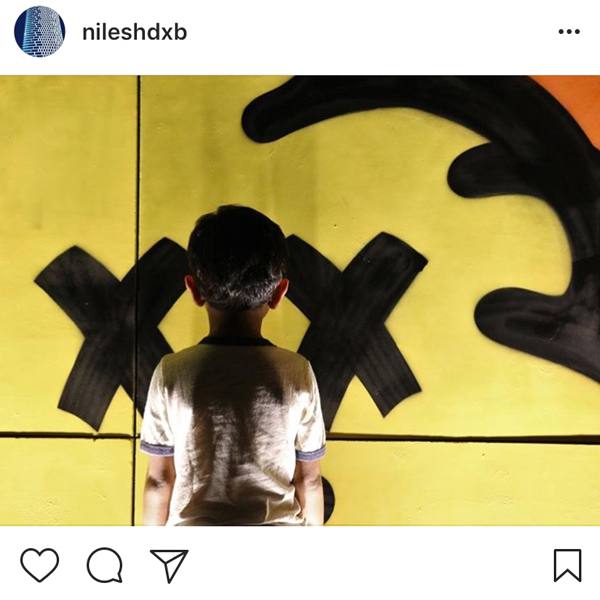 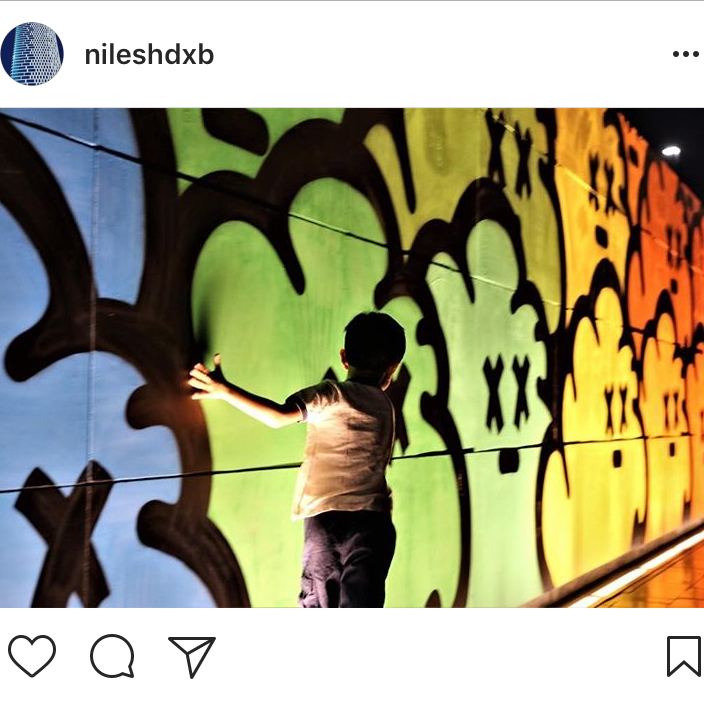 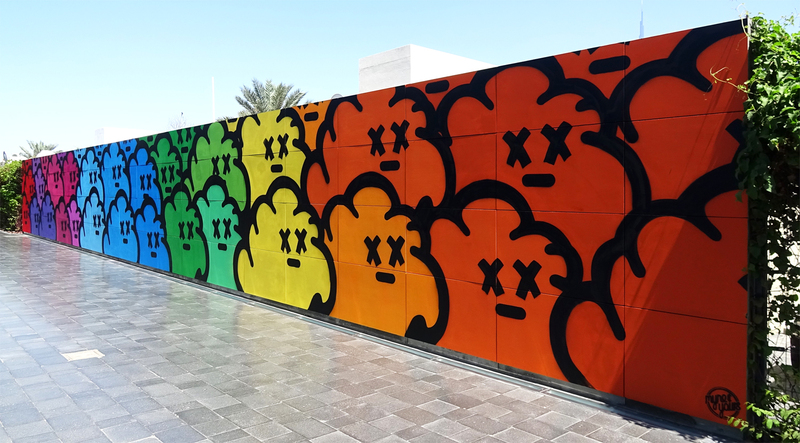 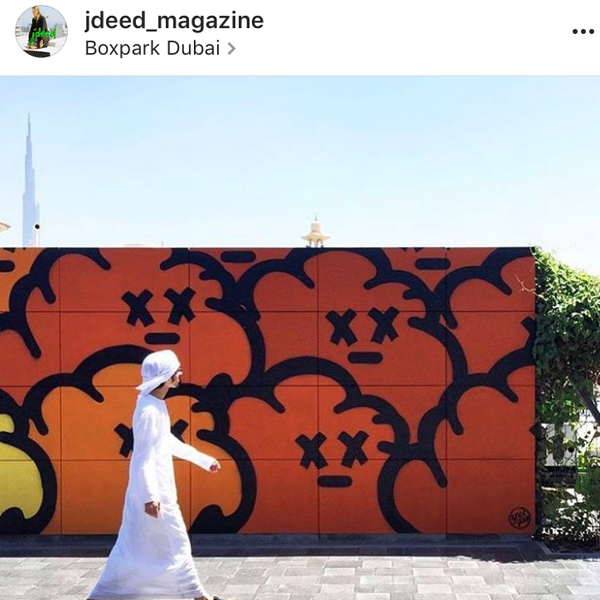 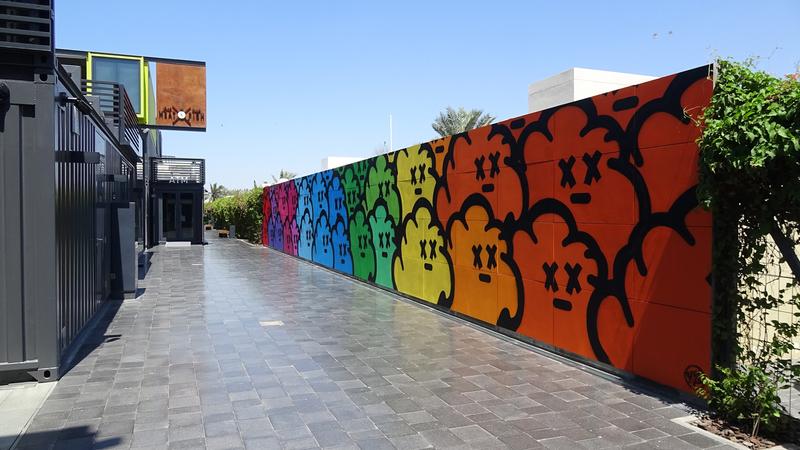 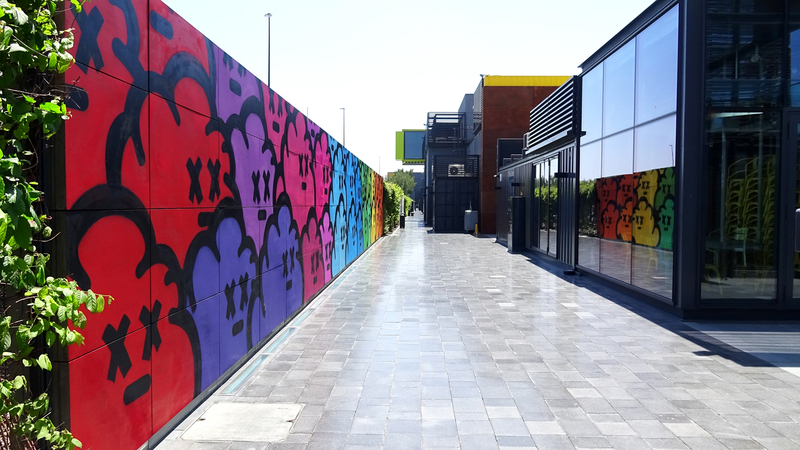 On the one year anniversary of the 25m high rainbow wall over in Sharjah, the guys over at Boxpark in Dubai gave me a 25m wide wall and asked me to do my thing. 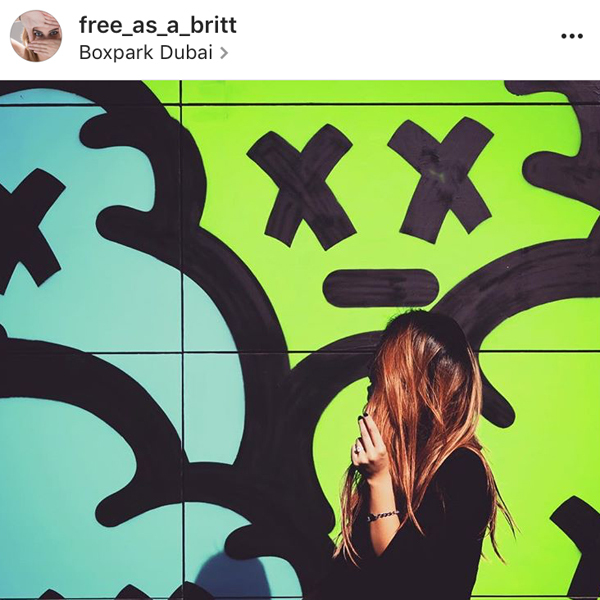 It made sense to celebrate the anniversary with another rainbow wall. 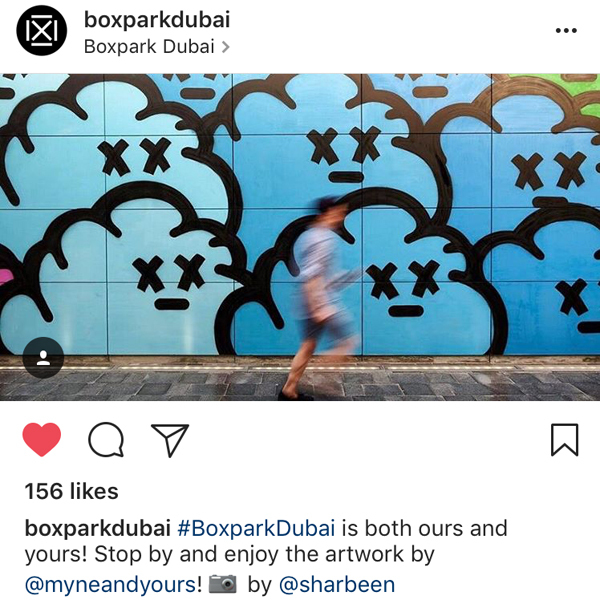 Check it out behind Meat & Fish.